It is very important that children attend school regularly, are on time and ready to learn. When children are absent they miss a wide range of learning opportunities and this impacts on their progress and attainment. 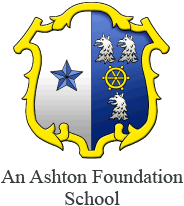 Please note that the Governors of Ashton St. Peter’s do not authorise holidays in term time. Further information on our attendance procedures can be found in our Attendance Policy. Please follow the link below to read our Attendance Policy. To download Central Bedfordshire Council information for parents please click on the link below.